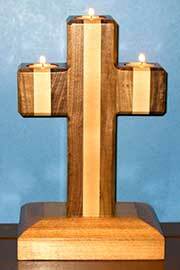 Hello to the readers of Daily Prayer and God bless you. 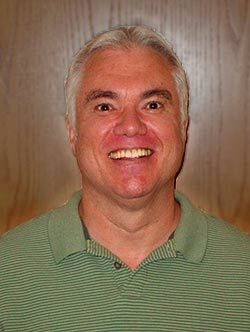 I'm Jeff Lander and I live outside Atlanta. 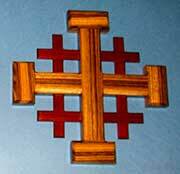 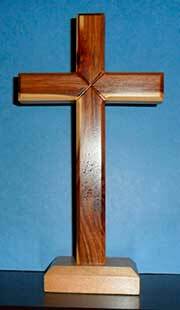 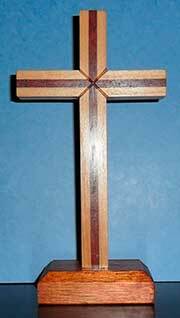 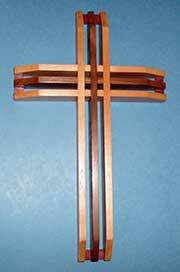 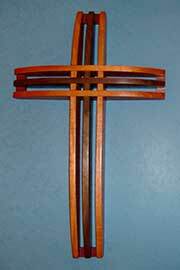 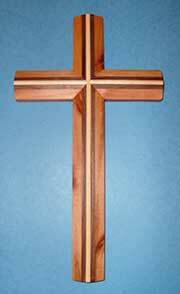 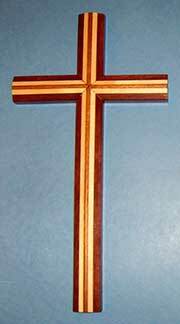 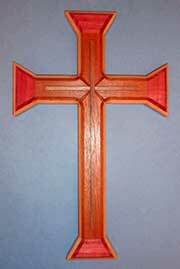 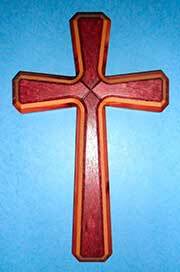 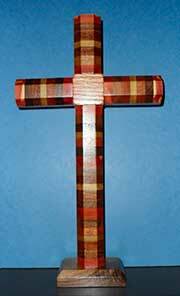 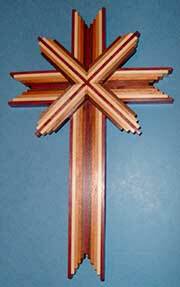 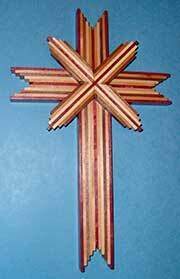 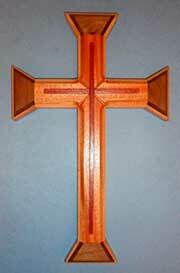 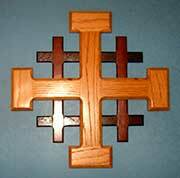 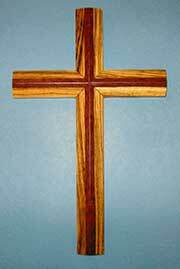 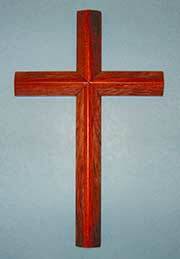 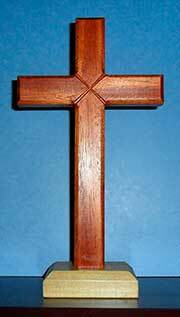 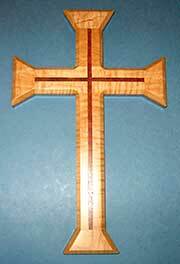 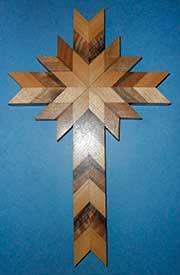 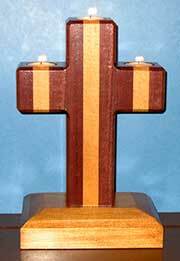 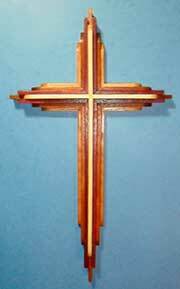 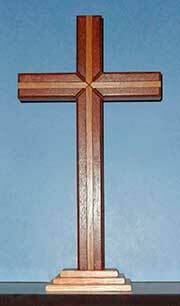 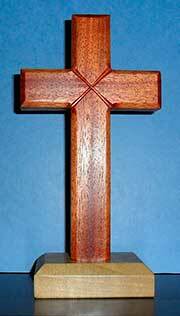 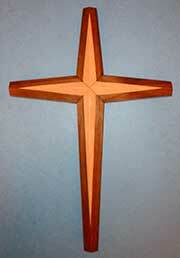 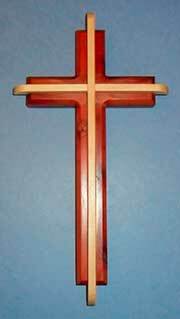 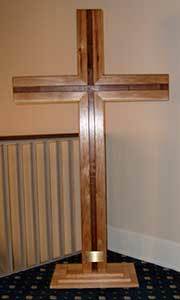 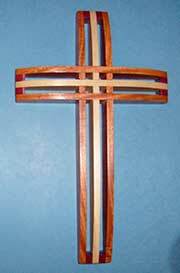 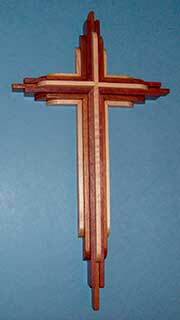 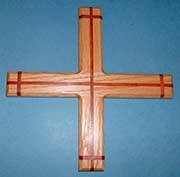 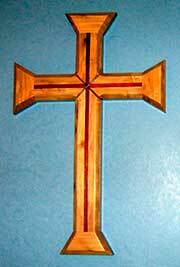 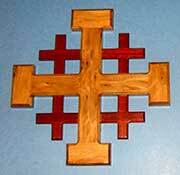 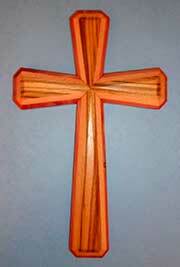 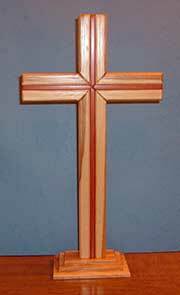 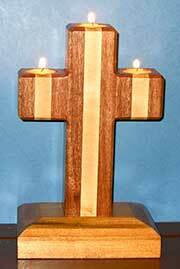 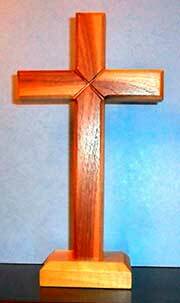 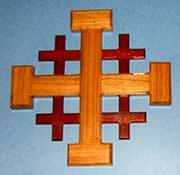 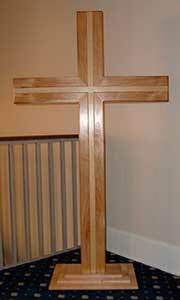 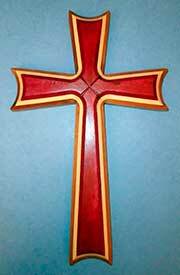 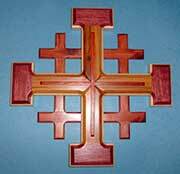 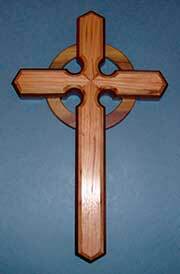 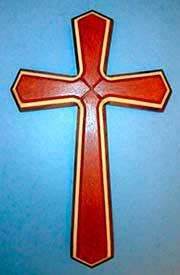 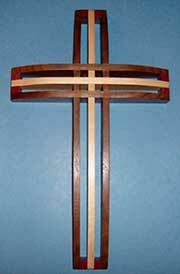 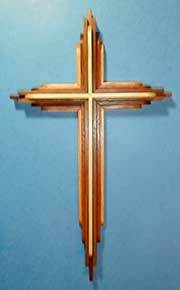 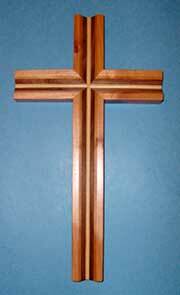 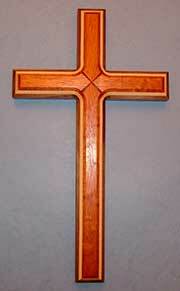 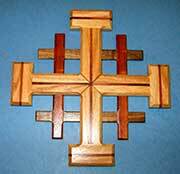 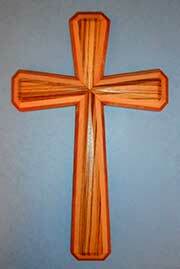 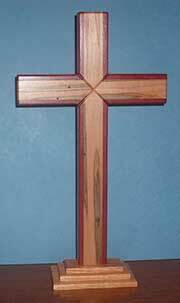 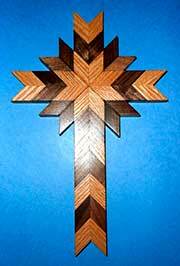 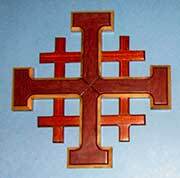 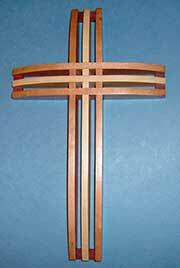 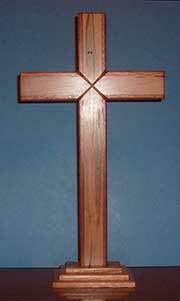 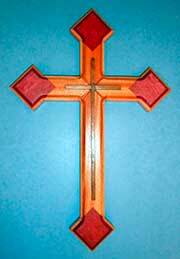 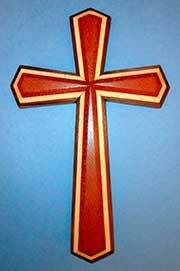 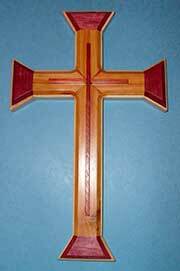 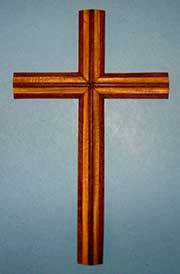 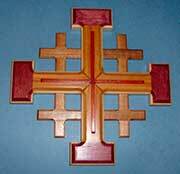 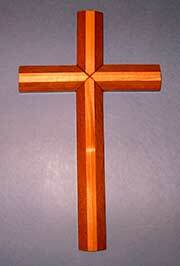 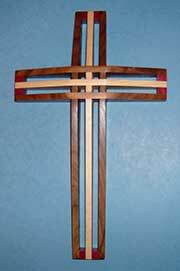 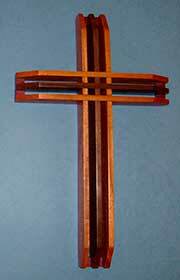 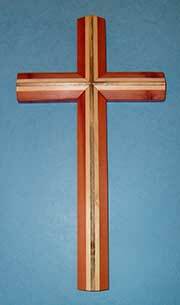 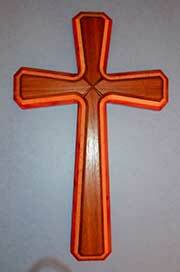 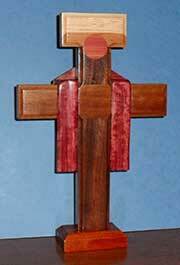 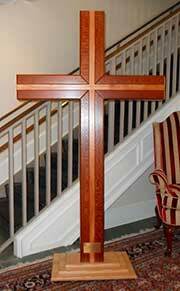 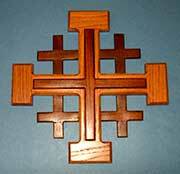 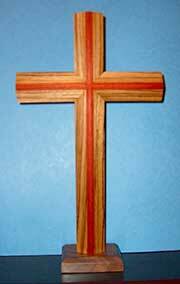 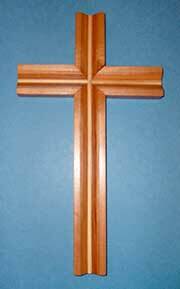 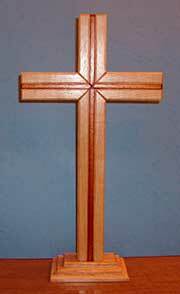 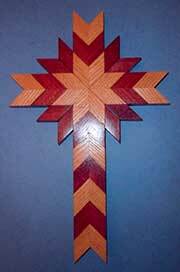 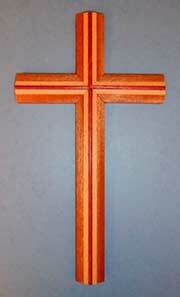 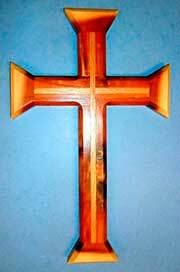 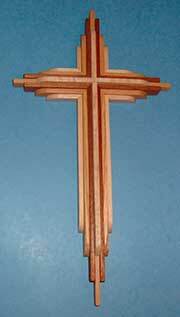 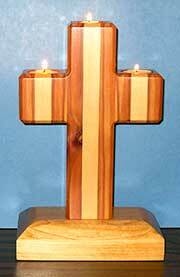 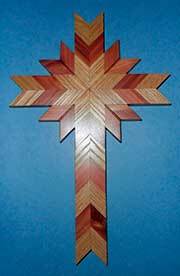 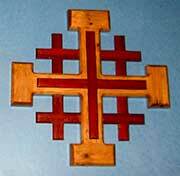 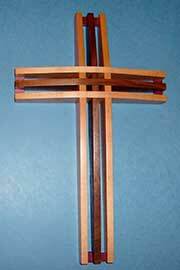 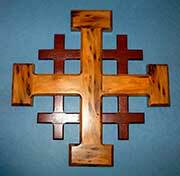 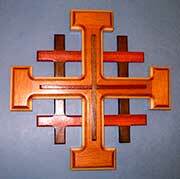 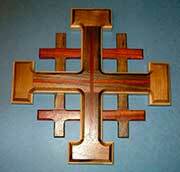 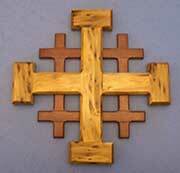 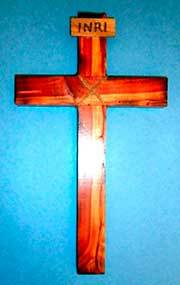 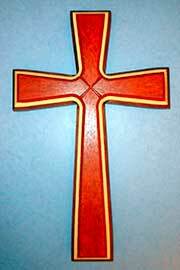 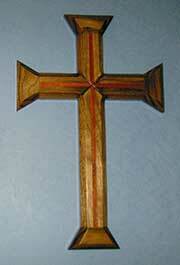 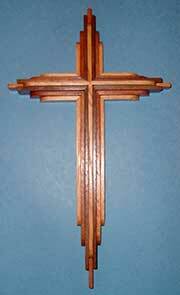 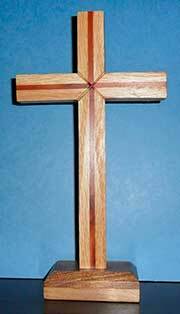 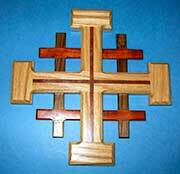 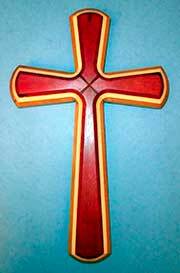 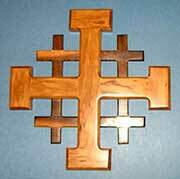 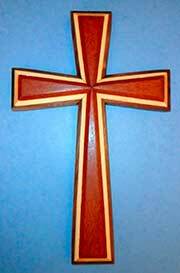 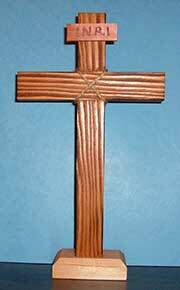 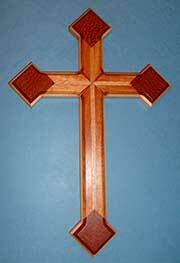 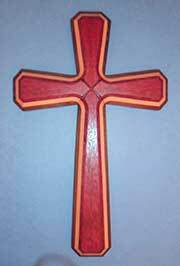 I have always been good with woodworking and have been making these crosses for 15 years. 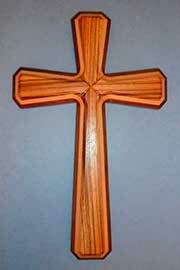 I try to price them lower than a comparable product from a retail store. 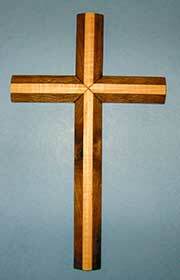 All of them are made from top-grade wood, by hand, individually. 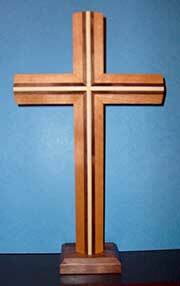 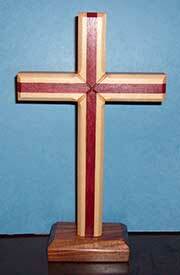 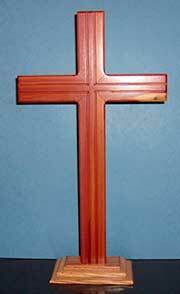 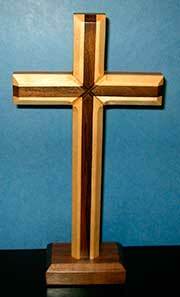 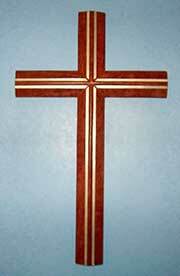 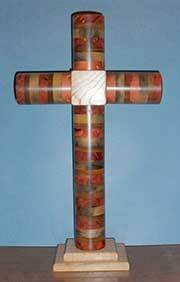 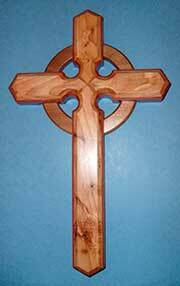 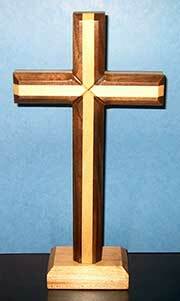 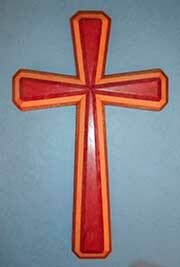 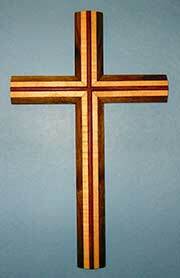 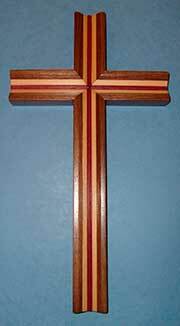 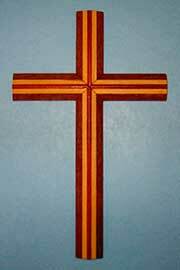 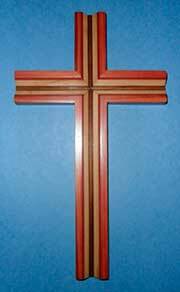 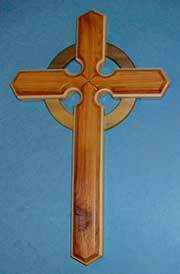 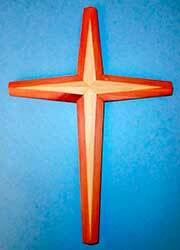 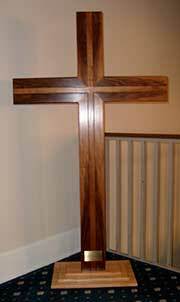 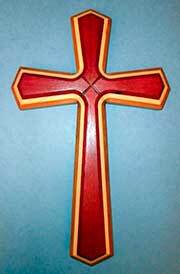 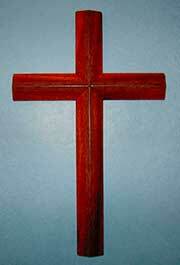 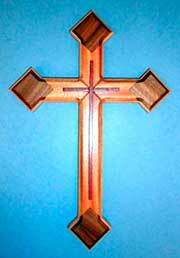 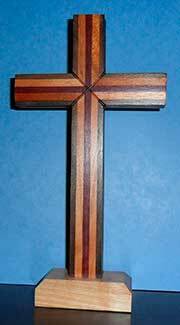 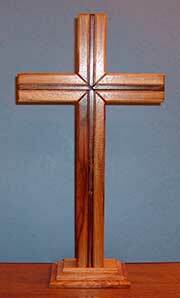 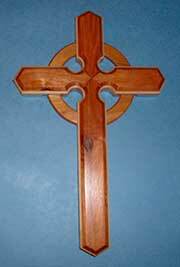 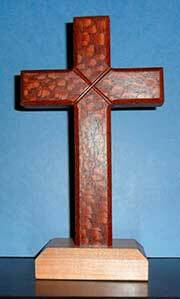 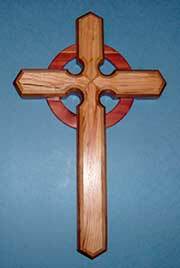 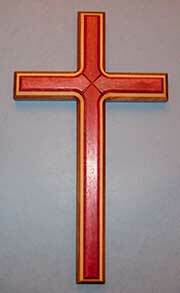 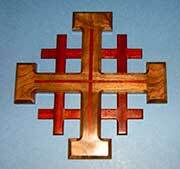 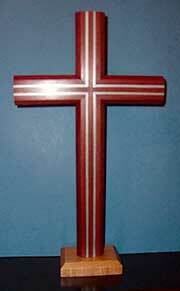 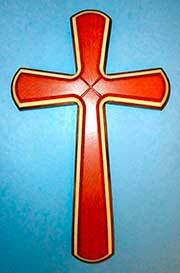 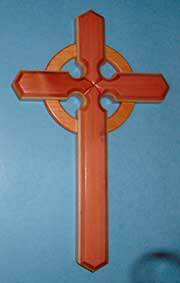 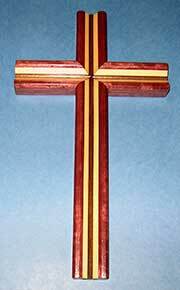 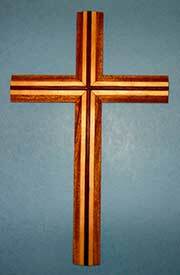 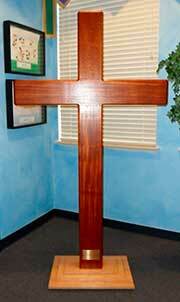 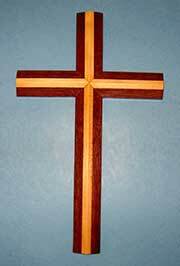 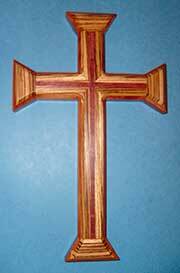 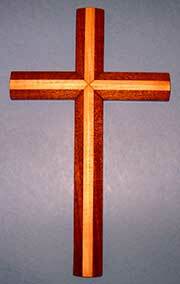 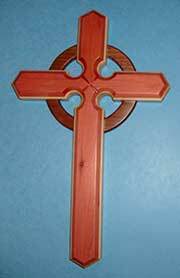 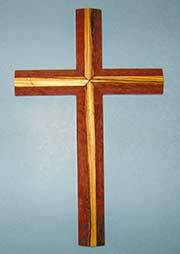 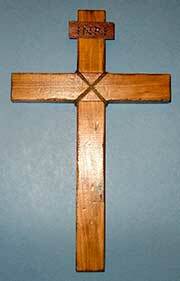 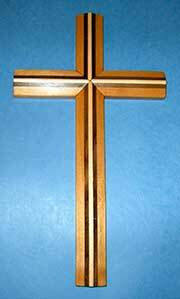 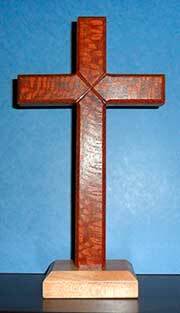 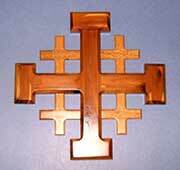 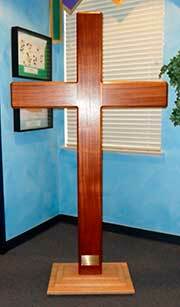 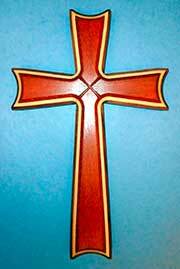 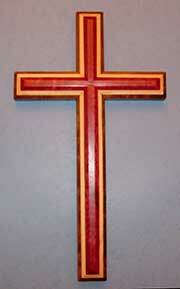 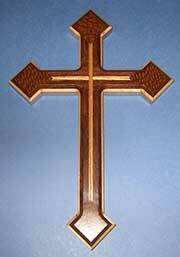 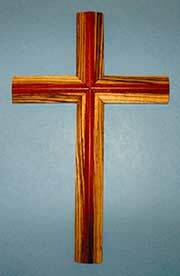 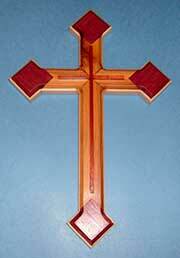 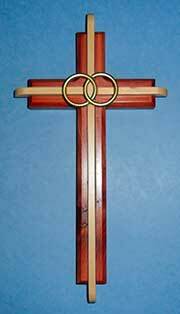 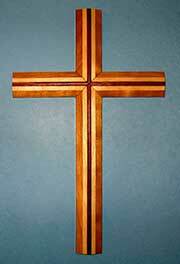 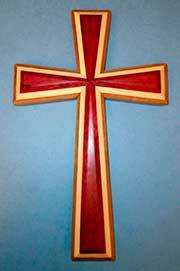 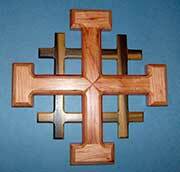 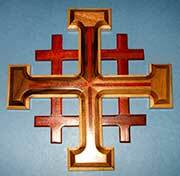 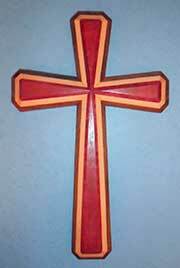 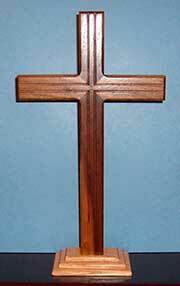 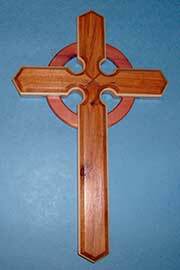 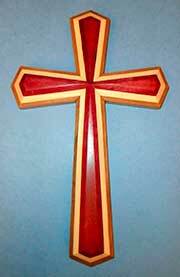 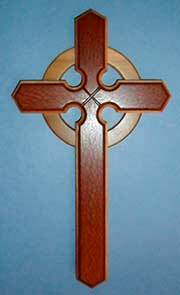 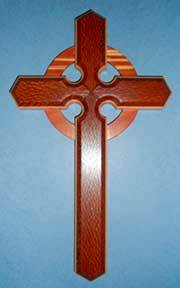 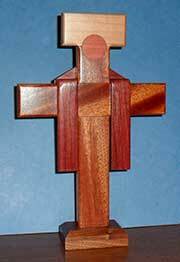 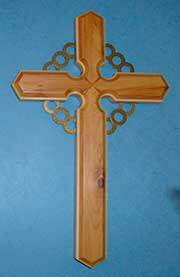 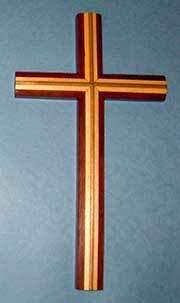 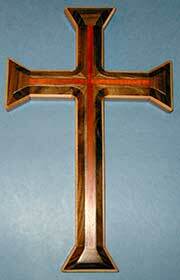 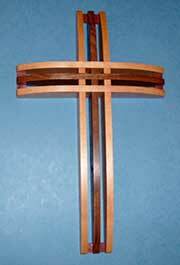 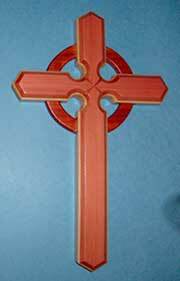 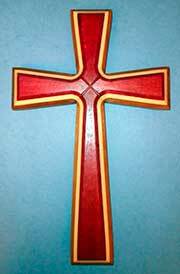 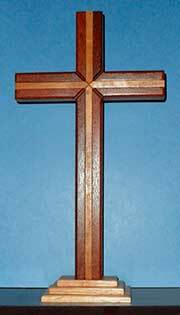 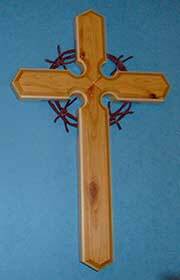 If you really want a cross but can't afford one, send me an email and we'll see if we can work something out. 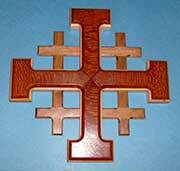 Your cross will probably be made to order. 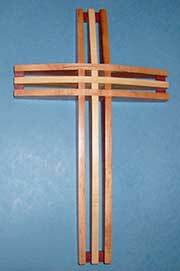 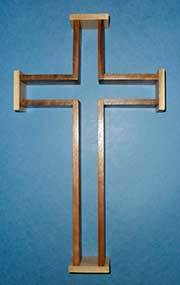 Size: I don't have the exact dimension on these, but the tall crosses are 12 to 14 inches high and 8 to 9 inches wide; the square ones are about 12 inches square. 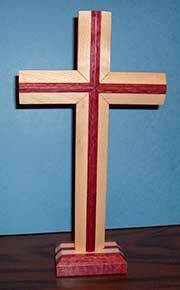 Guarantee: If you don't like your cross, just send it back for a full refund. 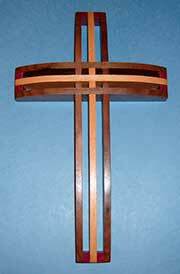 You only pay the return freight. 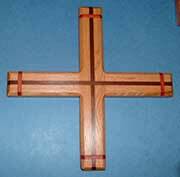 I'm not in business so you get all the plusses (custom handmade work) and minuses (I might get backed up, etc.) 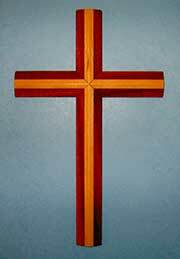 of that. 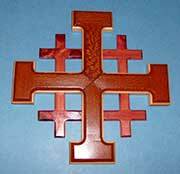 There is a shipping and handling charge for the continental 48-state United States of $10 for one cross and $5 per additional cross in the same shipment. 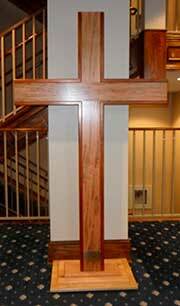 This is a pass-through expense available only to standard-rate locations. 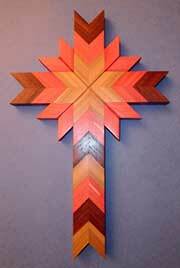 If you live outside the 48-state area, you'd better contact me so I can get a quote on shipping. 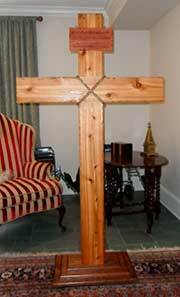 Most of the descriptions should be self-explanatory. 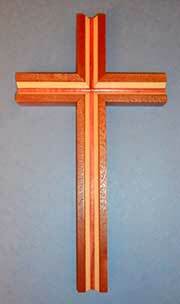 "Lite" refers to several identical-looking light color woods (such as fir) used for highlighting. 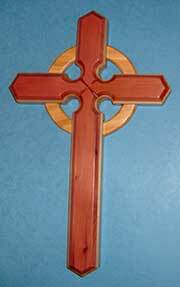 accents, etc. 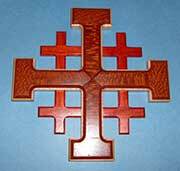 Inlay may be abbreviated (in). 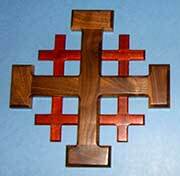 To order, just send me an email and tell me what cross you want and your name and mailing address. 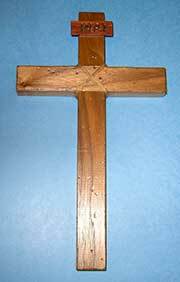 Be sure to include the Type Number, e.g. 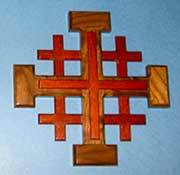 (cBZ) and the cross number, e.g (3). 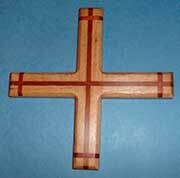 It might prevent a miscommunication if you state the total amount you understand you will pay. 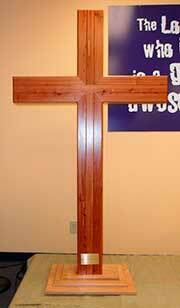 If you want more information, just ask. 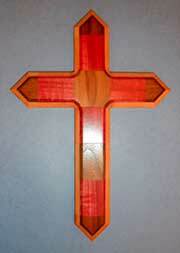 I also do custom crosses. 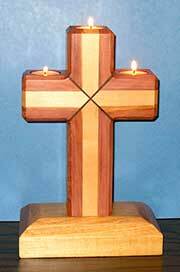 These will stand on a table and have holders for 3 luminary-size candles. 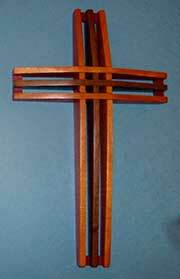 These are about 12" tall.